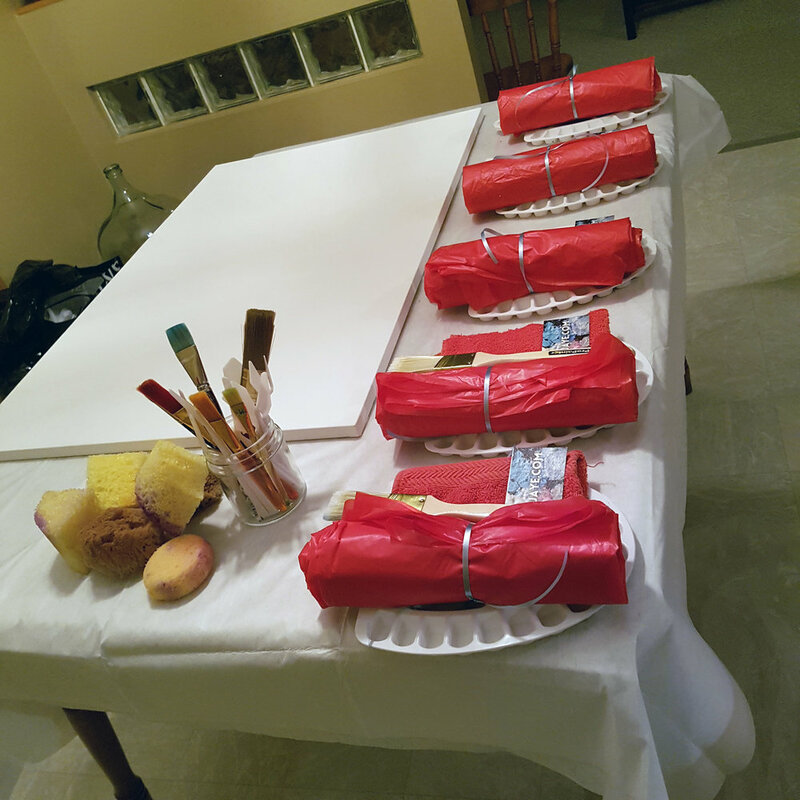 Group paint parties are a great way to create excitement around your special event or work function! They are a fun group activity and can be personalized depending on your function or guests. An example of personalizing this event: if the event is for a baby shower everyone can work together to make a painting for the new baby's room, perhaps guided by colours associated with the baby's gender. 2. Everyone paints on their own individual canvas, either "free flow" (abstract) or with a guided image painting. This class is nice because the guests each leave with their own painting. An example of personalizing this event: if the event is for a bachelorette party, everyone can work on an abstract painting of a wine class. Price: $300 for up to 10 people. $35 per person for a party of 10 or more. *all supplies included. This event requires $100 deposit at the time of booking to hold your date and gather supplies. Demonstrating a mixing and gradient technique for a grade 7 class. I welcome opportunities to get involved with the community and help others blossom and grow. I've worked with school classrooms as well as small and large businesses on projects aiding all age ranges and skill levels. Do you have an idea, a classroom, or a project that you would like me to speak or teach at? Send me a message, I would love to hear about it. In addition, I teach private classes for those just beginning their artistic journey, and for those who have been in it for a while and would like guidance on specific aspects of creation. I look forward to hearing from you!